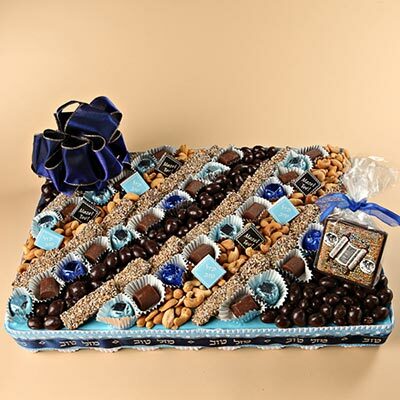 A large elegant chocolate and nut platter full of sumptuous dark chocolates and truffles, roasted nuts and Viennese Crunch. 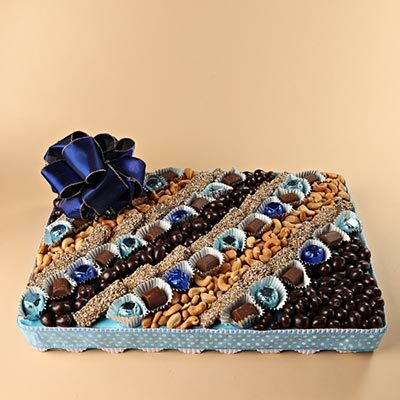 Makes a wonderful table display and a fabulous impression. 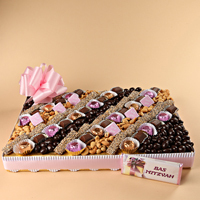 Measures 18" by 9". 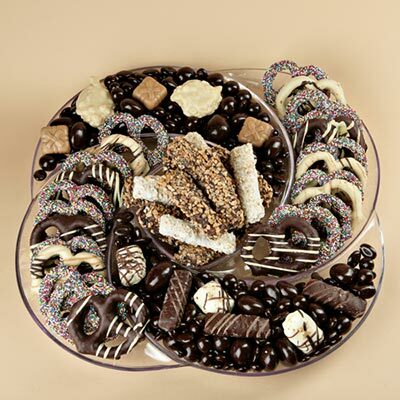 Grand Platter - Free Shipping! 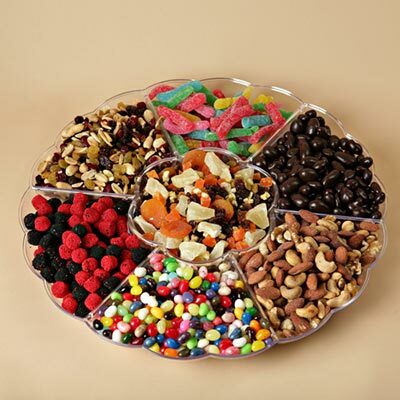 Something for everyone describes this platter. 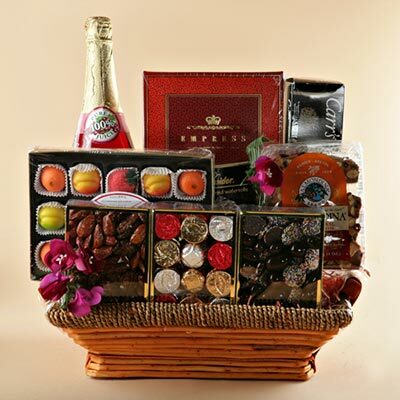 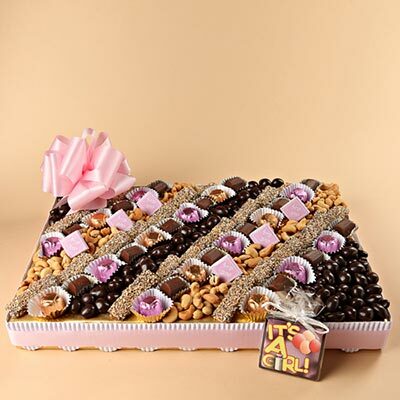 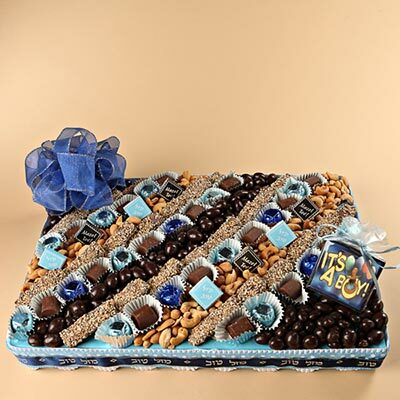 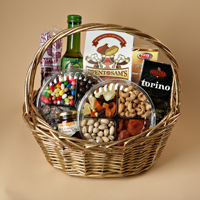 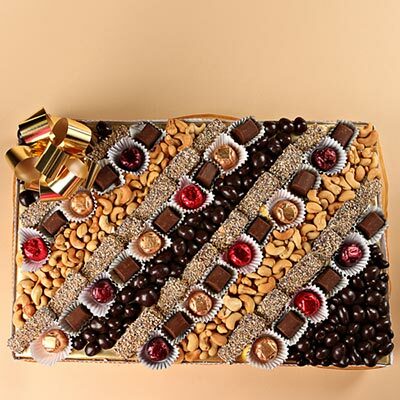 A very large gift platter filled with gourmet dark chocolates, premium nuts and dried fruits, jelly beans, blackberries and raspberries candies, sour bears, and cranberry nut mix.